Startup Canada, a non-profit run by volunteers, launched last year to tighten the ties that bind Canadian startups together. To start, they did a 200-event tour around the country, collecting information, meeting entrepreneurs, and investigating the challenges for Canadian startups. Afterward, they published their main findings: to grow, Canadian startups need a national culture that supports entrepreneurship, early-stage companies that grow and become sustainable “anchor” companies, and a network for everyone to connect. So in 2013, Startup Canada is digging in to work on those needs. They raised $36,000 on Indiegogo for Startup Connect, an online network to connect Canadian entrepreneurs. 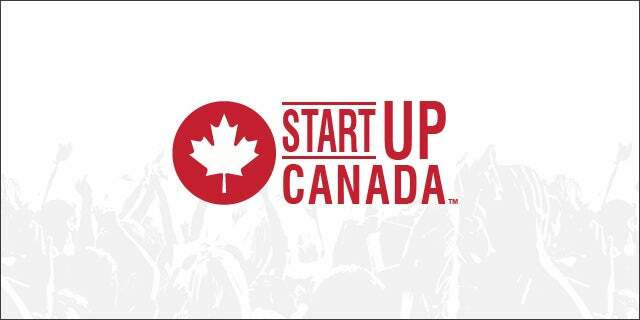 Startup Canada Insights will conduct research on improving policies and services for entrepreneurs. And Startup Campaign will work to get entrepreneurs in the media and in the public eye. Below, founding chairman Adam Chowaniec explains the lay of the land in Canadian entrepreneurship. Tech Cocktail: What strengths does Canada’s startup scene have? Which cities are most vibrant? Adam Chowaniec: Entrepreneurship is strong across the country. I think the new crop of graduates is very much entrepreneurially minded, which is very positive. And it’s spread pretty well across the country, obviously centered around the larger cities, so Vancouver, Ottawa, Montreal, Toronto, Waterloo, but every community has something going to some degree, which is very encouraging. Tech Cocktail: What obstacles are Canadian entrepreneurs facing? I think the challenges are all growth challenges. I think people are taking the risk to get things started, but to grow a company you’ve got to both find the financing and potentially the business talent that you need to grow, and I think pretty universally it’s still hard to find financing – especially for first-time entrepreneurs. . . . I think there’s still a bit of a shortage of angel capital to get people started. And I think the other element is getting experienced business talent. It’s really hard to find people who have already done it once before and can give you the wisdom and the knowledge to have a better chance of success. Generally speaking, Canada’s culture is still risk averse, and we don’t have a culture that goes out there and takes the risks that you need to take to support entrepreneurship. . . . If it’s a cultural thing, you can’t change that from the top down, you have to change that from the grassroots. Tech Cocktail: Is the government putting more emphasis on startups lately? Chowaniec: I think the government wants to see what Startup Canada can do and what it will stir up, but I don’t think they yet see what the real potential is here – the fact that (I certainly believe) many, many of our kids in the future will be entrepreneurs first and not work for somebody else. And supporting that is very, very important. So I think they’re watching; I don’t think they’re yet converse to the fact this could be a huge slice of our economy. I think [they don’t realize it yet] because they’re not entrepreneurs. I think it’s very hard for people from the outside to see what the challenges are on the inside. And traditionally entrepreneurship has had no lobby, we’ve done a lousy job of celebrating our successes and our successful people, so I think it’s been under the radar.